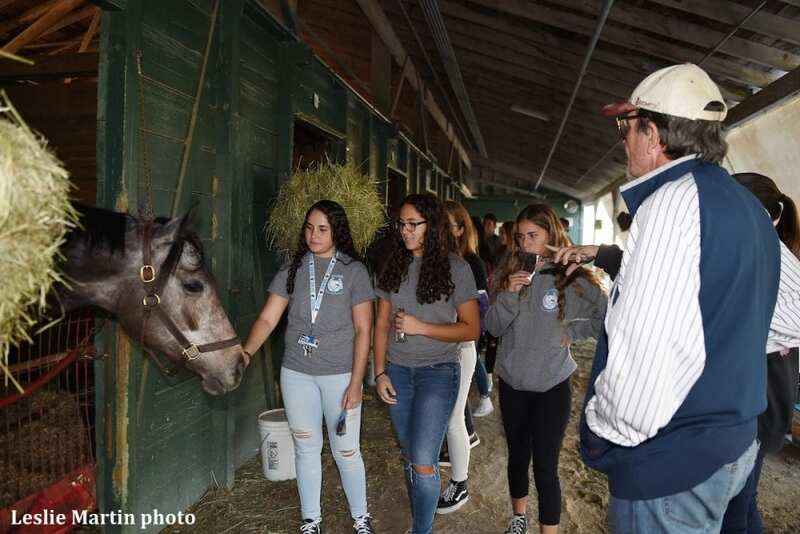 Gulfstream Park played host to 75 students over the past several weeks from West Broward High School and its unique Vet Assisting Program. The students were given a tour of the backstretch and received information on morning training, exercise regiment, daily diet, and equipment and farrier practices. The students also visited the barns of trainer Henry Collazo and Natalie Fawkes before being brought to the paddock to meet with Dr. Robert O'Neil, Director of Equine Health and Safety for The Stronach Group. “I was really impressed with their enthusiasm to learn about the care these animals receive and also their interest in their sport of Thoroughbred racing,” O'Neil said. 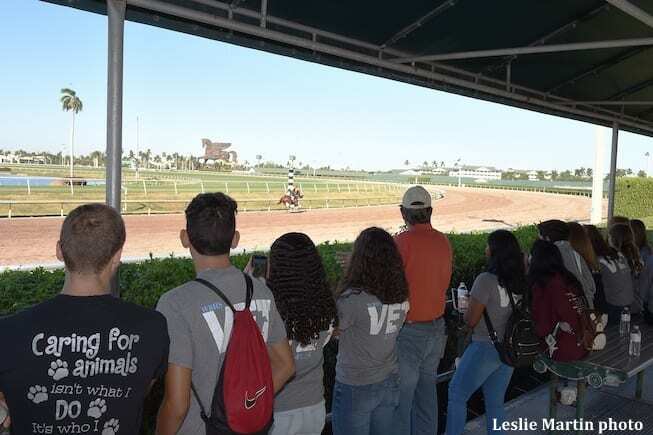 This entry was posted in Horse Care and tagged bill badgett, dr. robert o'neil, gulfstream park, henry collazo, natalie fawkes, tara terribile, The Stronach Group, West Broward High School by Press Release. Bookmark the permalink.